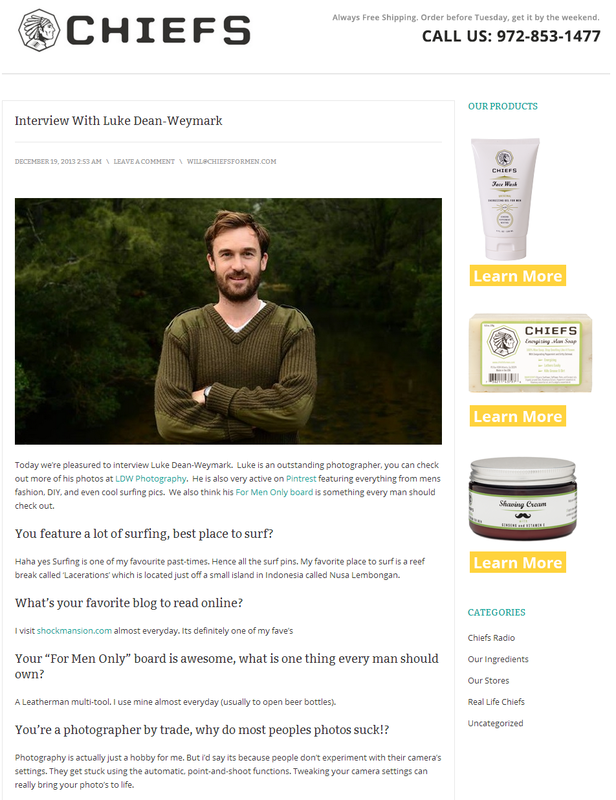 I recently did an interview with a men’s grooming brand based in the US called Chiefs. The interview was base on my photography and work on Pinterest. Here’s a couple of responses. This entry was posted in Work and tagged chiefs, chiefs of men, interview, luke dean-weymark, pinterest. Bookmark the permalink.